As in every year, the Powerpuff Girls present their holiday special, 'Twas the Fight Before Christmas. 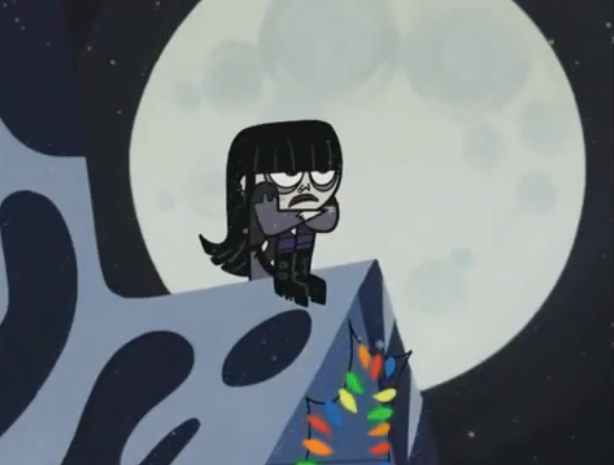 Townsville is preparing for Santa's arrival, narrated in Seussian rhyme, and there up a roof is a Goth girl anticipating the jolly man, or maybe cannot stand her family's cheer. "Her name is Kaitlin and her wish is a tattoo". Merry Creepmas, everyone! Have you been a good Goth this year? Most wonderful blog for internet surfing I would like to draw my attention at A professional SEO can really prove to be Web Developers Delray Beach quite effective and they can help the business grow in a very simple as well as effective ways. There are some better new solutions coming up which is helping the website rank much higher in the search engine result and SEO Delray Beach thereby pull traffic to the site. One title many characters Daria.